Our firm was contacted by the owner of a lawn maintenance com­pany with an embezzlement problem. The owner had determined that his accountant of 13 years had been paying a number of her personal bills, including all the expenses associated with her hus­band’s business, from their business account. The suspect was also using the company’s American Express card to charge gas, food, lunches and a number of other personal expenses she would other­wise have to pay with her own money. Our client determined that the total amount of theft exceeded $150,000. Prior to resigning, our client hired a second lady to work in the accounting department. Due to the urgency of the situation he failed to background the new accountant, who spent two weeks being trained by the original crook before she resigned. In the two months that the new accountant worked for our client he deter­mined that she also embezzled over $30,000 from the company, utilizing the company’s corporate credit cards in the same manner as her predecessor. Chief Investigator J.J. Gradoni and Investigator Keith Kucifer put together all of the paper trail evidence in order that the cases could be presented to the Dis­trict Attorney’s office for charges. 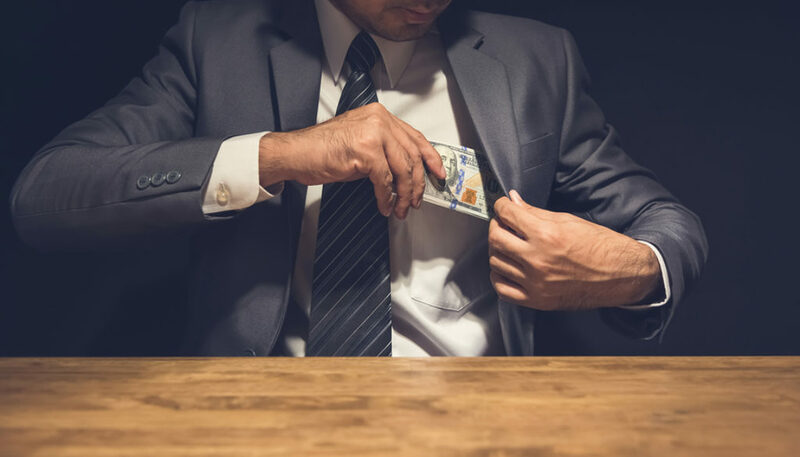 The second phase of our investi­gation was to confront the newest thief regarding her use of the credit cards and setting up her boyfriend on the payroll, who of course never worked one day for our client’s company. Our initial background on this lady revealed criminal history back­ground including theft, which went unnoticed prior to her hiring. During our visit to the residence, her boyfriend, who is on proba­tion in Montgomery County, admitted that he had never worked for the company, but didn’t seem to remember the payroll deposits into his checking account. Our client had already received reim­bursement for other fraudulent charges from American Express, which basically covered the majority of her theft. After we left her residence she called the original thief, telling her that she was most likely going to receive a visit. The former accountant decided to become proactive, calling her former employer and demanding a meeting. Our client met with his accountant of 13 years and showed her the paper trail that had been put together outlining all of the thefts. In order to avoid charges the woman and her husband made arrange­ments to pay back the majority of the money stolen over the 13 years, in exchange for her freedom. I must say, it usually doesn’t work out for our clients this well.